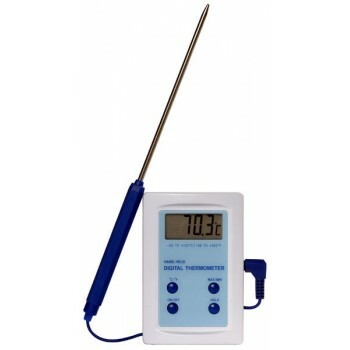 The Hand Held Digital thermometer is a general thermometer ideal for use across all industries. 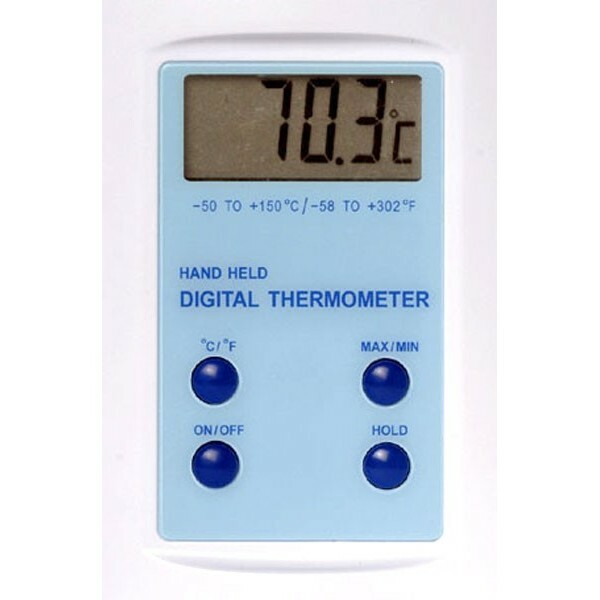 This digital thermometer has an integrated probe attached with a long cable to ensure greater accuracy in industries such as brewing or even home brewing. The Hand Held Digital Thermometer comes with a stand so that if your hands are full you can still monitor the measured temperature. Good service ,,good product ,good price. thankyou. Bought to replace a thermometer that I'd had for years. This one arrived very quickly. It's very easy to use and the screen is very easy to use. Excellent device - just what I was looking for. Really fast service arrived exactly when you said it would. Very pleased. I needed this instrument for a very specific purpose related to my car and it has proven to be spot on. Good price, good delivery, good purchase. Works perfectly with an easy to read screen. All that spoils it is that there is no clip on the temperature probe to stop it falling in the pot. A really neat, well functioning device. Excellent service delivered the day after ordering in perfect condition.